Lexus has always been known for introducing some of the top luxury cars at various car shows and events and now Lexus has made an announcement that they will make a grand entrance at the Specialty Equipment Market Association Show that will happen in Las Vegas this November. The automotive company said that they will bring out their new 2014 Lexus IS Sport sedan which will be the third generation IS vehicle and will offer so much more to the viewers and visitors at the SEMA Show. To make it even better Lexus has announced their partnership with DeviantART that will help them to get better stylish exteriors for the show. Lexus aims to have a new aggressive exterior styling that will appeal to the buyers and will introduce their new spindle grille on the front side along with wider stance and sporty rocker panels that will be introduced for the first time. DeviantART and Lexus said that they are glad to be working as a team on the exteriors and modifications of the vehicle and said that they had four judges that narrowed down the exterior styling to 25 from 600 innovative submissions that they had received. 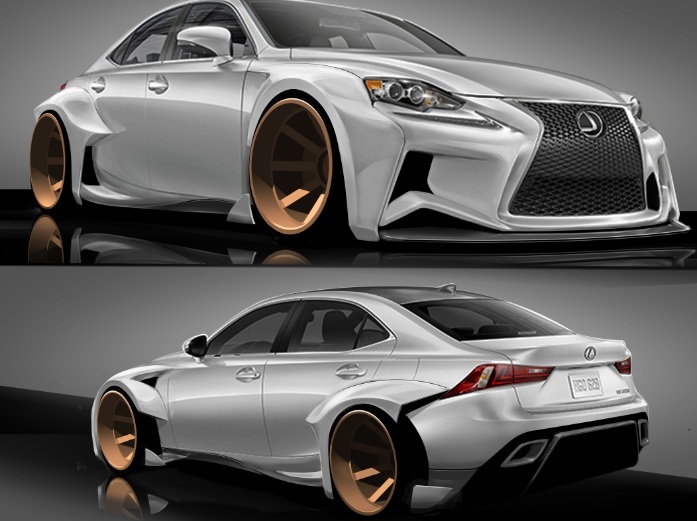 Lexus and DeviantART also announced that Rob Evans from Washington took the first place for the design and it will be his rendering and design that will be showcased at the SEMA Show in Las Vegas. Lucia Lee of Pasadena and Guanghao Huang from Michigan won the second and third place respectively. 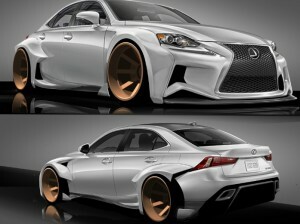 Lexus and DeviantART will provide winner Rob Evans with one year lease of 2014 Lexus IS F Sport, $2000 cash, a trip to SEMA Show in Las Vegas to see the concept on display, 8000 DeviantART points and one year premium membership to deviantART. The car will be on display in the front of Central Hall at the Las Vegas Convention Center from November 5 to November 8, 2013.